The increased use of ways of dealing with offenders outside the formal court system is noted in the book in Chapter 5, p 149. The particular focus there was on the use of so-called ‘on-the-spot fines’ for public order offences. But there are other out of court disposals available as well, e.g. cautioning. While the use of such methods of disposal may be appropriate for first-time youth offenders – to prevent them getting a criminal record, which may impact on their ability to get employment later in life – such disposals do evade the ‘due process’ features of the criminal court process. They would not seem to be particularly appropriate for persistent offenders. In an important and interesting report, undertaken jointly by HM Inspectorate of Constabulary and HM Crown Prosecution Service Inspectorate, called ‘Exercising Discretion: The Gateway to Justice’ the following points emerge. 1. The number of crimes that are dealt with outside the formal criminal justice system has risen dramatically in a five year period by 135 percent. The most commonly used out-of-court disposals – warnings, cautions and penalty notices for disorder – now account for around one third of the 1.29 million offences brought to justice. When restorative justice outcomes – which are not currently included in national data – are added to this figure it is clear that out-of-court disposals have become an increasingly important tool in the fight against crime for both police officers and prosecutors. 2. 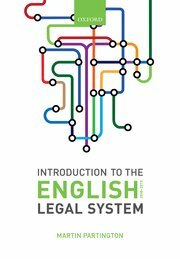 When out of court disposals are used effectively, particularly restorative justice where offenders are encouraged to repair the harm they have done, we found high levels of victim satisfaction, promising signs of a reduction in re-offending, and minimal bureaucracy when the offender was dealt with quickly. 3. However, the inspection found significant variations in the use of out-of-court disposals around the country ranging from 26% of offences brought to justice in one criminal justice area to 49% in another. Choosing an out-of-court disposal or prosecution in court will have very different consequences for individuals depending on the requirements to keep a record of the result for disclosure to a court or a prospective employer. Local variations in practice are inevitable and expected but the inconsistencies we have identified mean that some offenders will receive differential treatment depending on where they were found or where they live. 4. In a small sample of 190 out-of-court disposals, the inspection found that about a third were administered inappropriately. In most of these cases, an out-of-court disposal was inappropriate as the offending was too frequent or serious. The report concludes that while out-of-court disposals are a legitimate way of dealing with some criminality, more work needs to be done to improve consistency and prevent inappropriate use. A national strategy that brings greater transparency and consistency in the use of out-of-court disposals is now urgently required based on a proportionate response to the level of offending and the nature of the offender, what works to improve victim satisfaction, reduce re-offending and gives value for money for communities who ultimately foot the bill. What do you think? How should the balance be struck between formal and informal processes?